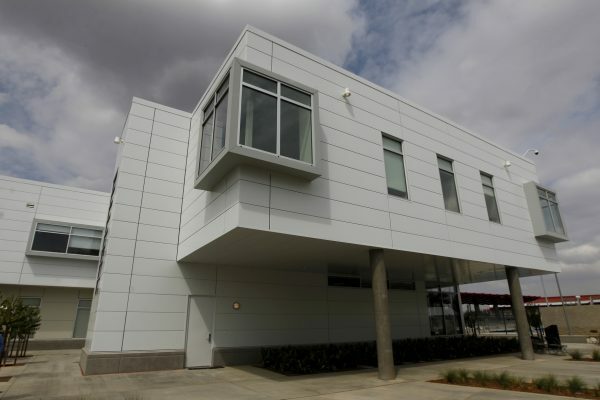 The Physical Therapy and Intercollegiate Athletics Building, designed by Fresno architect Paul Halajian, received an Award of Merit from the American Institute of Architects – San Joaquin. The award was presented during a ceremony Oct. 27 at the Fresno Art Museum. In keeping with President Joseph I. Castro’s mission for academics and athletics to rise together, the state-of-the-art facility combines physical therapy and athletics under one roof. The 22,000-square-foot building, which opened in 2015, houses the Department of Physical Therapy as well as some athletic coaching staff offices. Halajian also designed the Armenian Genocide Monument on campus.